I have had a weight problem my entire life. As a child I used to grab snacks from the kitchen, eat them in my room and hide the wrappers in random places like under my mattress and wrapped in toilet paper in the trashcan. When I was in my younger years like elementary and middle school I was affected by bullying and being made fun of by my classmates. As I entered my high school years I thinned out a little bit because I was more active with cheerleading and just playing outside with my friends all the time so weight wasn’t as much of as an issue. However after I started college and entered early adulthood, poor diet and excessive alcohol intake really caught up with me and that’s when I grew to be 250lbs. As an adult, the extra weight affected everything I did. It affected what I wore, the way I carried myself and more importantly the way that I felt. I didn’t feel confident at all and it was a horrible feeling. The turning point that got me started was just thinking about my future family. As a woman in her early 20s it’s normal to start thinking about what my husband might be like, what my kids might be like – and as I started to think about these things I thought to myself “wow, I will never be able to expect anybody to be able to love me if I don’t love me.” I also thought to myself “how can I ever be the best mom I can possibly be carrying all this extra weight, being tired all the time and having such an unhealthy relationship with food.” I wanted to be a confident, strong woman for myself and for the family that I intend to have one day. I wanted to be able to say I put my best foot forward and gave it everything I had. I joined a gym for the first time ever – I was SUPER scared and intimidated but I was able to find an all women’s gym that made me feel comfortable enough to stick with it. The first “workout” I ever did was a Zumba class which was right up my alley since I was a dancer as a child. I would say about a month. I was using My Fitness Pal and a food scale to track all of my portions but I made sure not to deprive myself too much and made sure my goals were realistic. 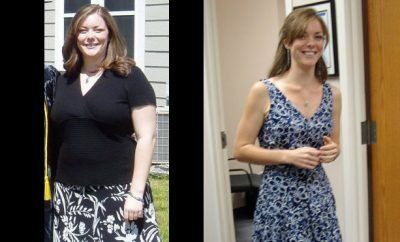 RELATED: 109 Pounds Lost: How I got my life back pound by pound! There were a lot of challenges I had to overcome. 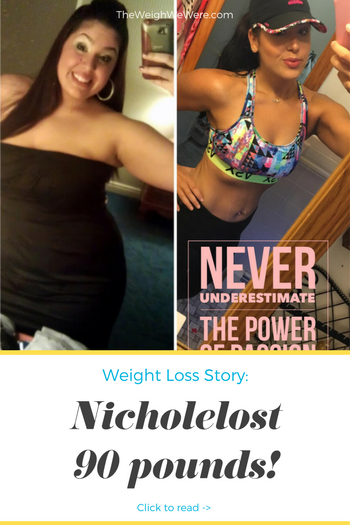 Time was not in my favor as I had a full time job and was going to school to get my Masters – I chose a “bad” time to start on my weight loss journey, but I made it work. In addition, being a student and living in New York City, money was also of course an issue. I was lucky enough to find a low cost gym that it wasn’t too bad of a financial hit. I would say the biggest issue I had to overcome was the actual addiction to food itself. Food is comforting, it’s easy to turn to and it’s always accessible. I did not know anything about portion control and I didn’t know what an impact the wrong (and right) food choices could have on my body. There was one point where I plateaued for a good year before I saw anymore weight come off – this was super frustrating and I tried everything in my power to break that plateau. I tried working out more, working out less, eating more, eating less and I tried switching up the kinds of workouts I was doing. I tried hot yoga, ariel yoga and signed up for bootcamps to take it up a few notches. It took a while but it eventually worked and I broke the plateau and started losing again. It took about 2 years. I lost the first 40 pounds in the first year and then the rest of the weight slowly started to come off after that. When I was heavier I didn’t think about portions, calorie intake or the ingredients in anything. Now I try to be very mindful of what I put in my body and my outlook on food is completely different. I am by no means perfect, but I do the best that I can and I just take it day by day. When I was heavier there was no physical activity. Now I am a fitness instructor and mentor and also studying to become a personal trainer so I am working out a LOT during the week – I wouldn’t have it any other way. Be patient. This is going to be a LIFELONG journey and it is one that cannot, and should not be rushed. Take this time to dig deep and learn about yourself and to learn more about food. Knowledge is power and the more you learn, the more successful you’ll be. Find Support. I didn’t really make friends to work out with or have a community to vent to when things got hard. 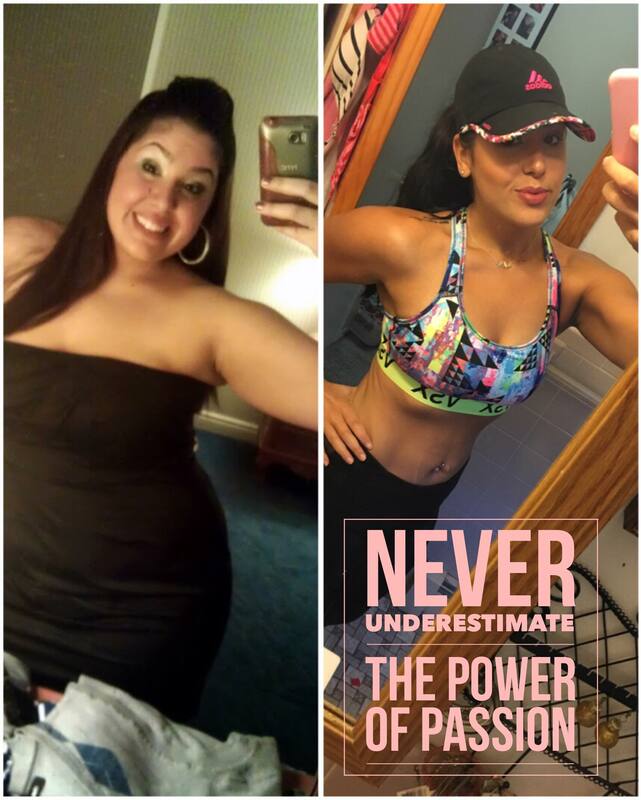 Now that I am a Fitness mentor, I run online groups to help support people on their journey and find it to be very helpful to those who are just starting, or continuing on their journey. Don’t skip meals. You have to eat more to lose more. I know it sounds silly and it’s complicated to understand but when you fuel your body with enough of the RIGHT foods, amazing things start to happen both internally and externally. Don’t “Diet”. Stay away from the pills and the carb-free diets – those are only going to give you a temporary weight loss and temporary solution. Once you learn to appreciate food and the things that it does for your body you will be much more successful in losing and KEEPING the weight off. Don’t deprive yourself. If you are miserable on this journey you will be less likely to stick with it. Allow yourself to “cheat” once in a while by having a cocktail, pizza or a dessert. With that said, don’t allow cheat meals to turn into cheat days which turn into cheat weeks which could very easily turn into a cheat year. Always remember why you started this journey and recognize your progress daily so that you don’t fall off track and have to start all over.